Albuterol is a generic inhalant medication, and Pulmicort is a brand name for the prescription inhalant medication budenoside. Despite the fact doctors prescribe both Albuterol and Pulmicort for asthmatics, these drugs have distinctly different purposes. 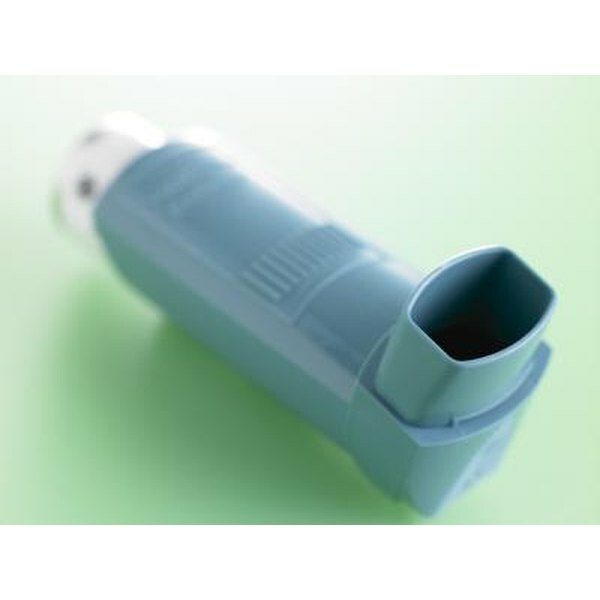 Asthmatics use Albuterol inhalants to relieve asthma attacks or sudden, severe flare-ups of breathlessness and wheezing. Pulmicort inhalers decrease the frequency of asthma attacks, but cannot stop an asthma attack once it starts. As a beta-2 agonist medication, Albuterol causes your airways to dilate or widen as the medication fills your lungs. The corticosteroid Pulmicort suppresses the actions of your immune system, decreasing inflammation in your airways. Doctors prescribe Albuterol for use as needed, and one dose of the drug takes effect in only a few minutes, explains the Mayo Clinic. Pulmicort is a daily medication and requires several days to weeks of consistent use before reaching its effectiveness. Albuterol poses a risk for changes in heart rate and increases in blood pressure. Since it suppresses the immune system, Pulmicort may make you more susceptible to bacterial and viral infections, warns the U.S. National Library of Medicine. If you have a history of heart disease, hypertension, hyperthyroidism or pheochromocytoma, it may not be safe for you to take Albuterol. Doctors use Pulmicort with caution in patients with osteoporosis, cataracts, glaucoma, measles, tuberculosis or milk protein allergies, explains the Mayo Clinic.